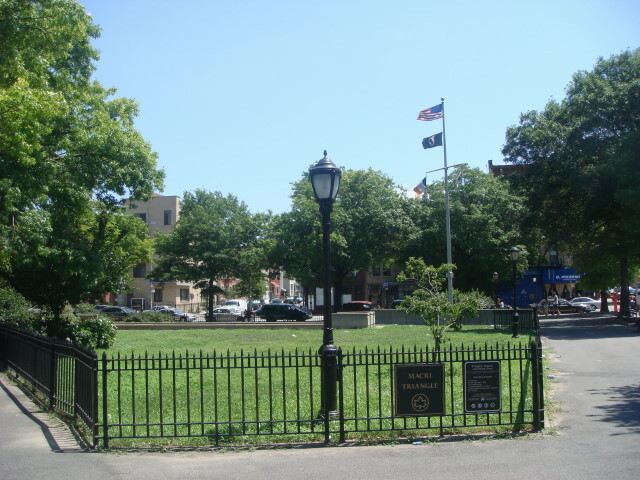 I love noting little squares and parks throughout Manhattan. You don’t have to look too hard on this blog to find them. And, generally, the smaller, the better as far as I’m concerned. I just find it very fitting and right that New Yorkers fight for every bit of parkland they can find. Hey, we don’t have backyards. Okay, a lot of people in Brooklyn do have yards, front and back, but they’re small and not the same as a suburban yard. So even they want more. And right in the Williamsburg part of Brooklyn, roughly bounded by Union Avenue, Metropolitan Avenue, and the BQE; is Macri Triangle. I can’t find any trace of where the name comes from, but there’s a memorial to 78 World War II servicemen from the area. 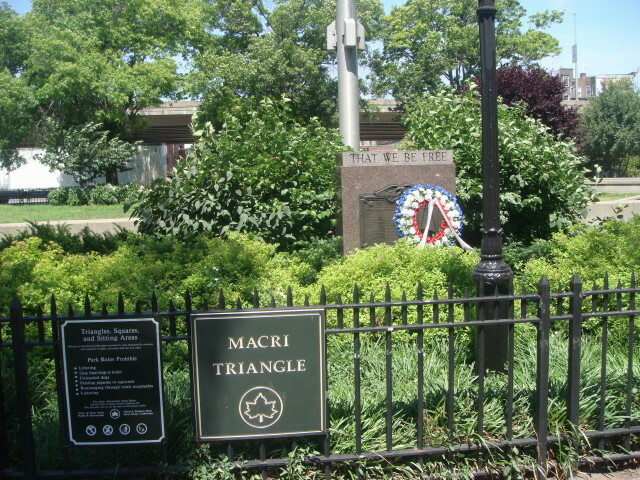 The memorial reads “That we be free”. It’s well kept-up and is a rather nice little park. I didn’t spend any time there, and didn’t even notice whether people could go into the actual triangle area. I didn’t see anyone there when I walked by. One other thing I didn’t see: seating. One thing about Manhattan parks; lots of seating. It may be true of Macri, but I didn’t notice anything. But, like I said, it’s pretty nice and New Yorkers always appreciate a little greenery. 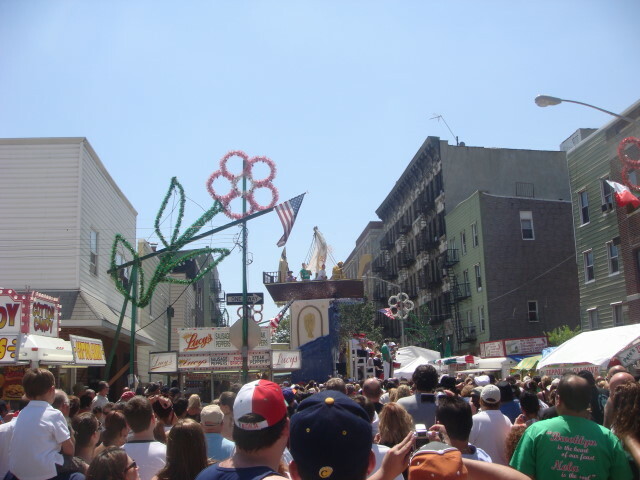 In my previous post, I detailed how I was in the Williamsburg part of Brooklyn watching the annual celebration of the giglio (lilies) at Our Lady of Mount Carmel. All was well and good and fun. Well, and slow, but that’s okay. 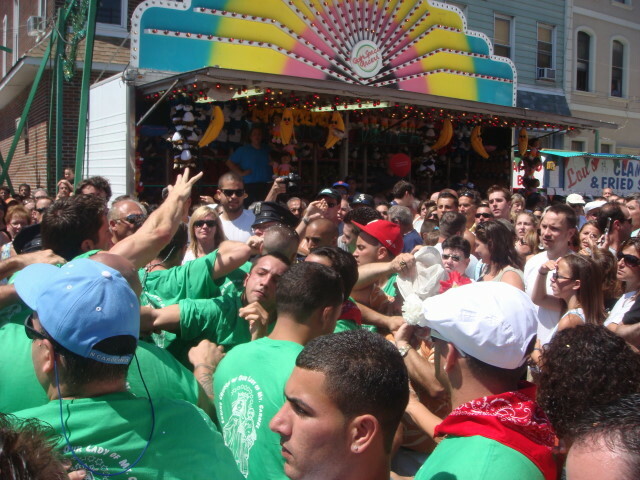 And then the violence started. 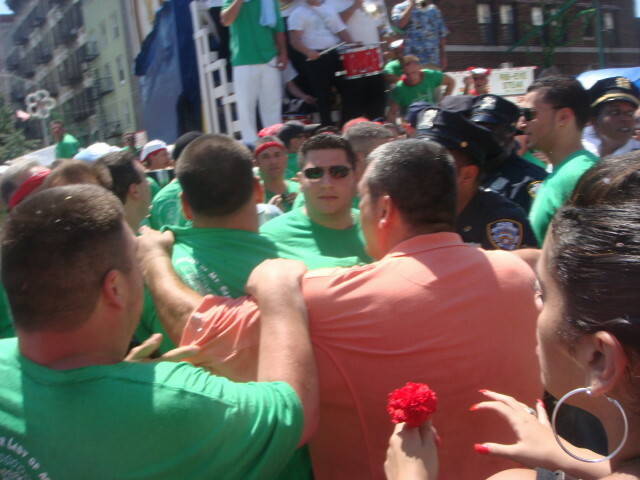 Four years in NYC and the first time I see violence is in a Catholic religious procession. Wow. But I’m getting ahead of myself. I was thoroughly enjoying the pending convergence of the two giglios (lilies). 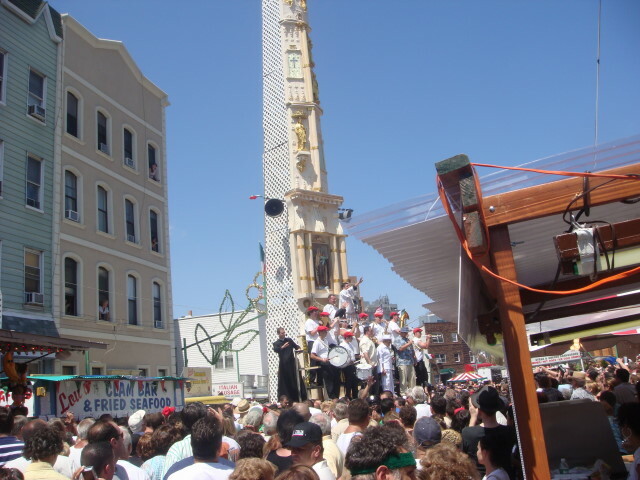 The saint giglio (also called the “tower giglio”) had already arrived at its destination and was spun around. I took the opportunity to zoom in on the top of it. Nice workmanship. Well done. 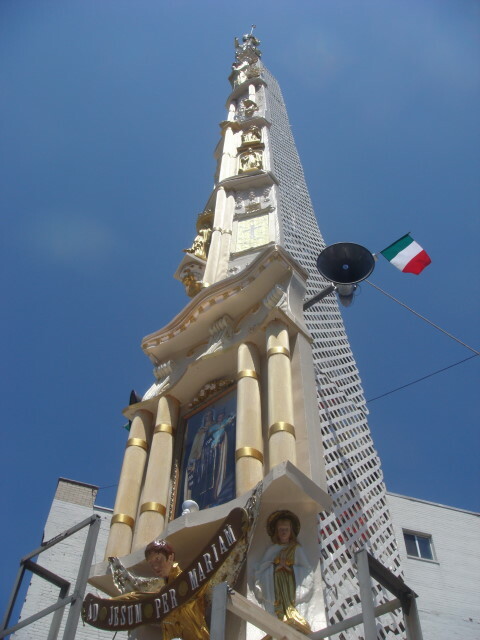 In the next photo, you can see the band on the tower giglio’s dais. In turn with the boat giglio, they played music and made announcements. 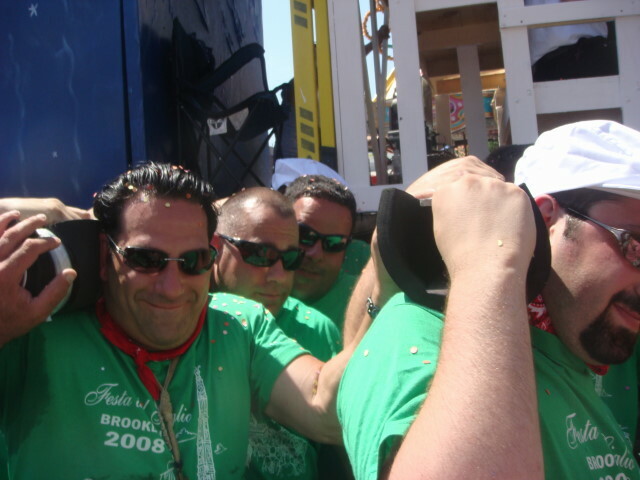 All of a sudden, to my immediate left, some scuffling broke out amongst the boat giglio’s lift crew. It wasn’t a minor one, but it started very small. Here’s the first picture I took. You can see that everyone spotted it at the same time. There wasn’t a clear source of the fight, but it just seemed to spring up in that general area. A couple of seconds later, you can see that it had spread. Closer to me in fact. The cane or baton you see in the next picture was held by the head of the lift crew. 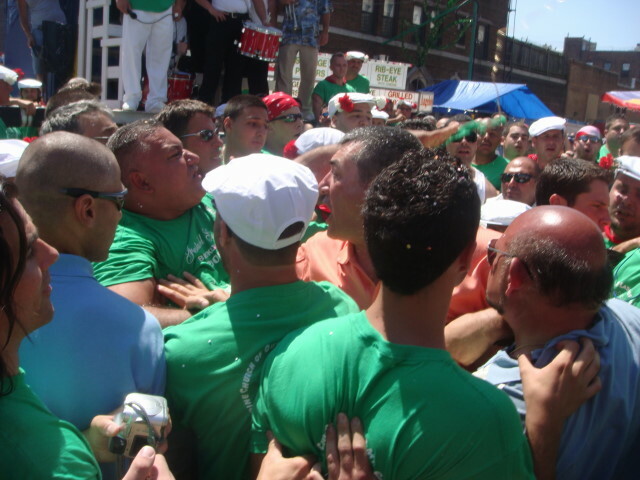 Then it really started getting closer and much more violent. Nobody was hurt (at least that I’m aware of), but you can see the tenseness and the concern really breaking out. The guy in the orange was another leader of the lift crew. At that moment, the cops started to arrive. 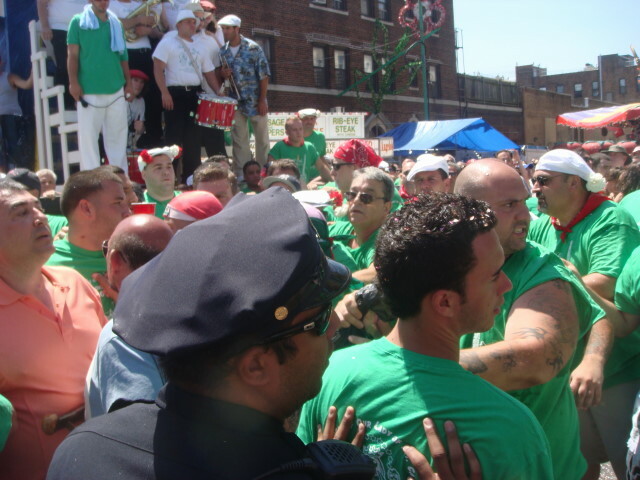 They did the first things that cops do in this situation: started yelling for people to get out of the way and started to head toward the perceived source of the disturbance. I gotta tell you: calling it a “fight” is a bit over the top. For the most part, it just was grappling and shoving. I think I may have seen one fist thrown, but I’m not sure about that. 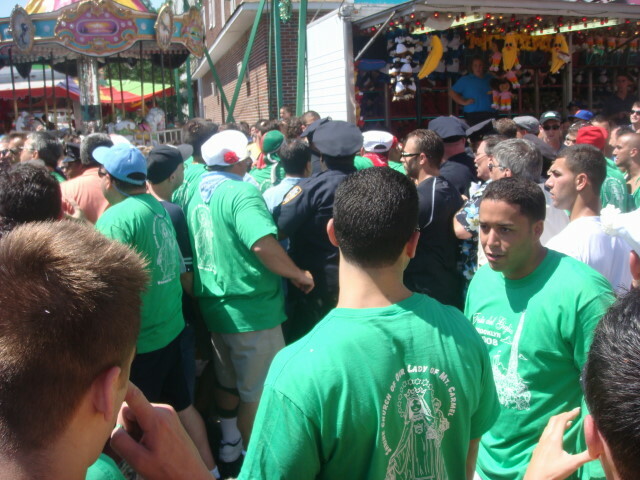 Mostly, the guys in the green shirts just sort of shifted around. There really wasn’t even any yelling. Apart from the cops, at least. Notice the bystanders. No worries there. At this point it just seemed to be a bit of posturing and bravado on the part of a few lifters. More fighting, but no more real concern on anyone’s part. You might want to note that the photos were taken about 2 seconds apart. We aren’t talking a long production here. But I was in a great spot to capture what there was that had been going on. And then the cops arrived in force. And more force. I had noticed there were a lot of cops in the area much earlier and had just thought they were catching some easy overtime. I guess they knew better than me. I imagine this isn’t all that unusual. And then the band on the boat giglio started to play some music. Hey, it does have power to soothe the savage breast. They played and played for a couple of minutes. I don’t think it did much to help, but it sure didn’t hurt. About two minutes later, there was another minor flare-up. It only lasted a few moments though. And five minutes later, another lift. Despite the fight, I have to admit that the next sequence of pictures is my favorite. These guys, despite the earlier distraction, were interested in moving this thing just right. They liked what they were doing and they loved the attention. I mean, look at these guys. They’re having a great time. And good for them. Right before the last move, I did have a minor encounter with one of the fighters. I assume it was his sister next to me. He came over and started talking with her. It was in English, but he didn’t make any sense. I presume it was the adreneline talking. He kept cussing and saying he had grabbed so and so about the neck and held on and was really pumped about it. One of his friends came over and they compared war stories about the fight, equally incoherent to me. As the band played, the two of them kind of huddled and started jumping up and down in time with the music. 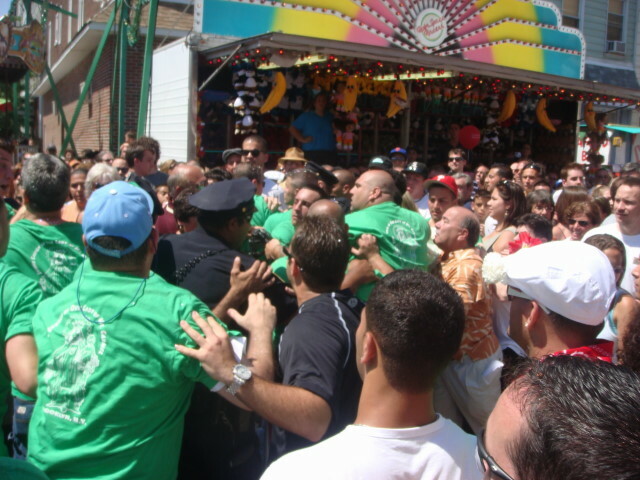 And one guy’s elbow kept getting close to my nose. And he was swinging it with the music and bouncing up and down. And, did I mention I couldn’t move away? I managed to lift up my arm between my face and his arm, but it wasn’t needed. Thankfully. Anyway, on that high note, I left just after the boat giglio passed me. Those two also seemed to have pulled out of the lift as they vanished down the street a moment or two earlier. 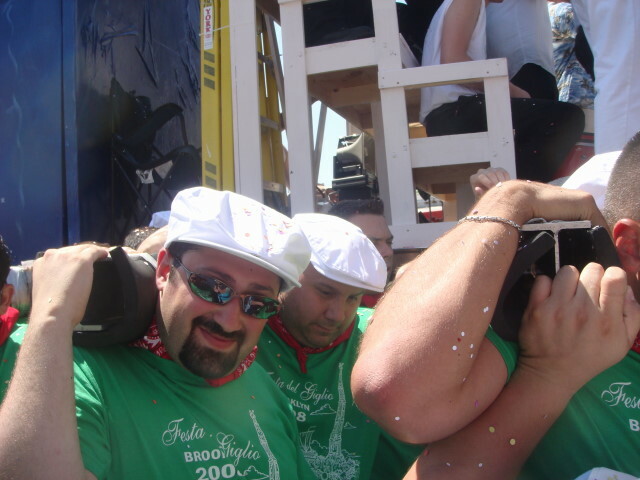 So, I missed the joining of the giglio, but I would have been in not as good a position as I had been for the rest of it. So, was my friend right? Was it a “don’t miss” event? Yeah, I have to admit I did like it. 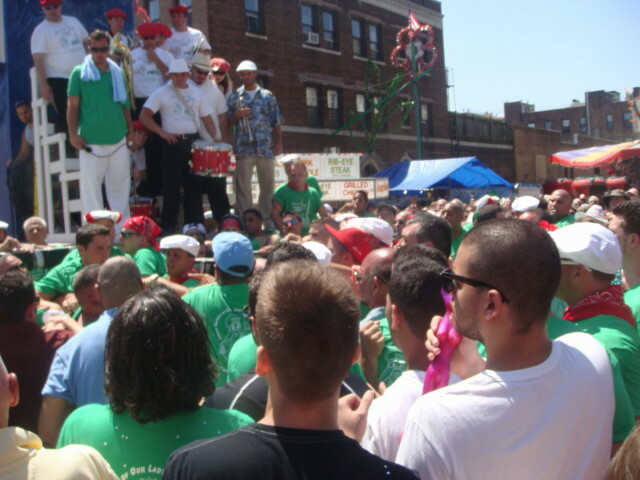 At the very least, I got to see an absolutely genuine Italian neighborhood in celebration. 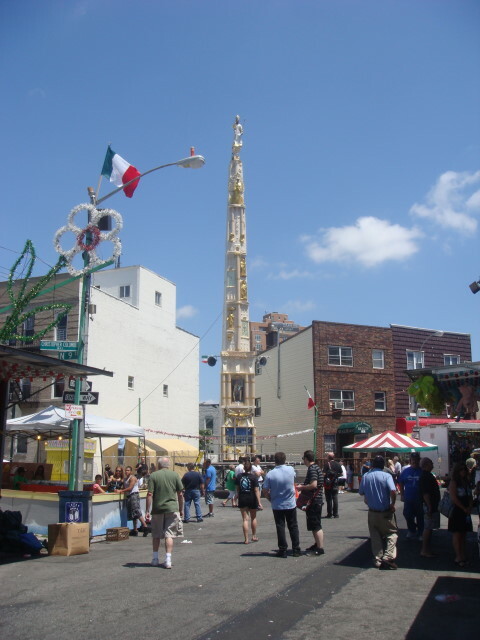 (Little Italy is just mostly a tourist trap.) So, yeah, it was just fine. I just have to remember not to believe their posted times. 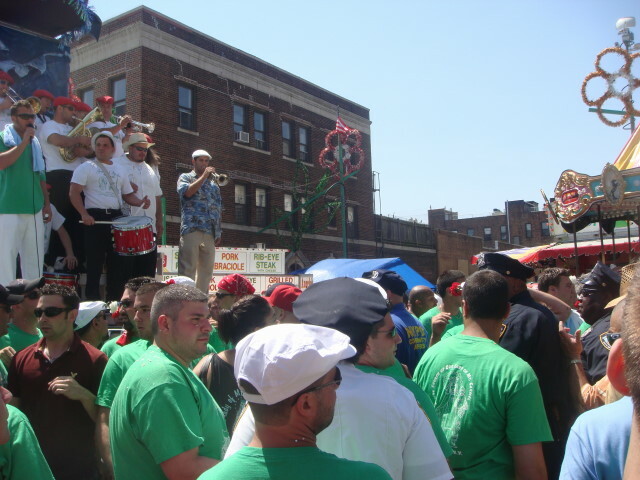 A co-worker had alerted me to what he said was a don’t-miss event: the Giglio Parade of the Our Lady at Mt. Carmel Church in Brooklyn (actually, the Williamsburg part of Brooklyn). 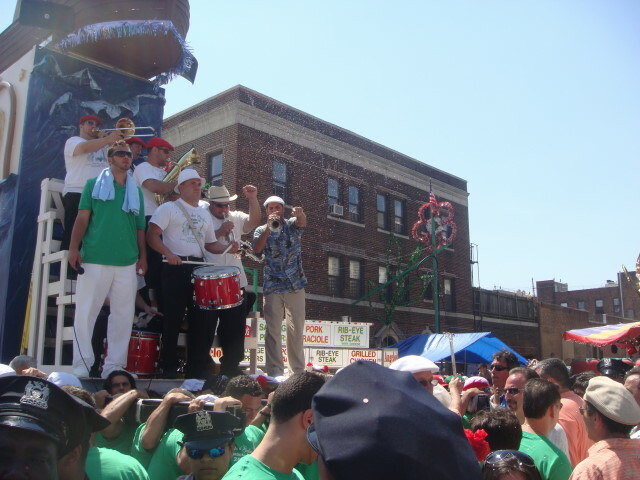 The way he described it was that it was a tight-knit Italian neighborhood that got together and held a fair/festival at which some of the locals would carry a huge shrine down the street in a show of celebration. As part of that shrine, there would be a band on it. Just like you may have just done, it brought to my mind’s eye almost a scene out of The Godfather. 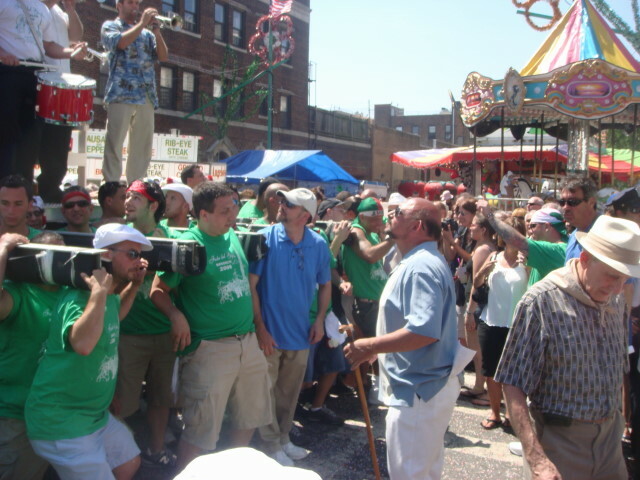 Not that they did it in that movie, but just that sort of street festival. So, I did my research and found that the festival takes a couple of weeks, but the Sunday before the end seemed to have everything I wanted to see. So, I took off holding a couple of ideas in my head: it’s small, it’s very crowded, and it happens at 1pm. Two out of of three ain’t bad. I got there nice and early. And the place was nearly empty. At least at first. I got there right around noon and they still seemed to be setting up. It gave me a chance to see everything. Several times. Finally, it did start to fill up a bit. One thing I hadn’t understood from my friend’s description nor from the website: there are two items carried: a boat and a shrine (each are called “giglio” which translates as “lillies”). 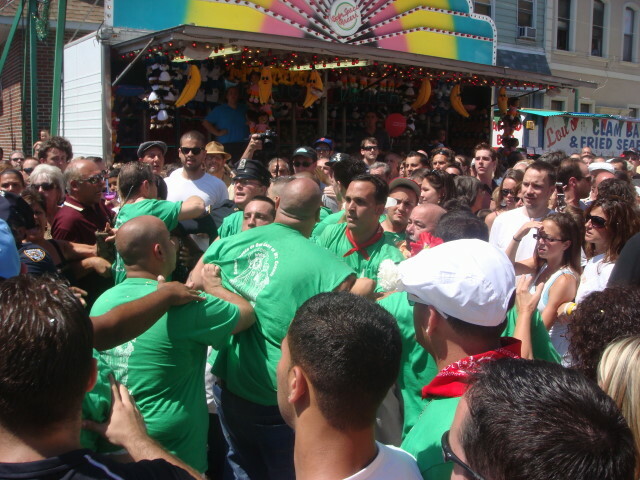 They start at opposite ends of the street and each is carried about a block and a half by fifty or sixty men. 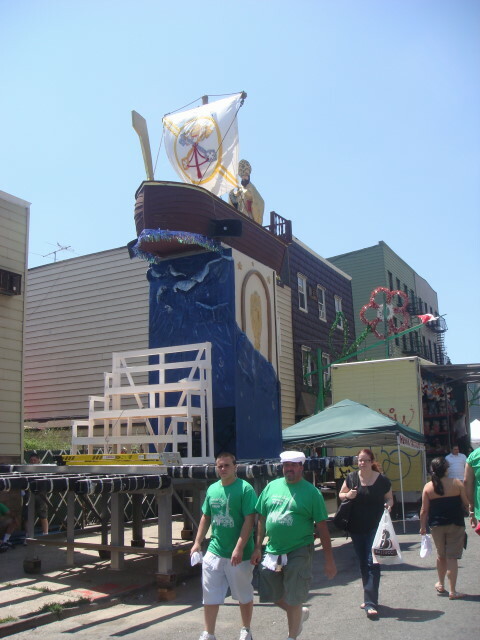 The first giglio I saw was the boat. The second giglio is just really high and thin. I think it’s 65 feet up. It’s made of wood and, although it looks like a part of the landscape in the above and in the next photo; it is designed to be carried. 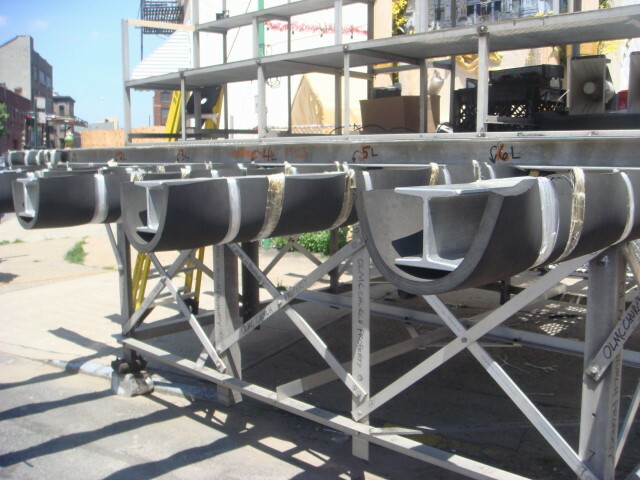 As the next photo shows, at the bottom are metal girders wrapped in some foam rubber to protect the shoulders of the carriers. I couldn’t resist taking the next shot, just for its dramatic effect. It makes it look tall. Well, it is tall! 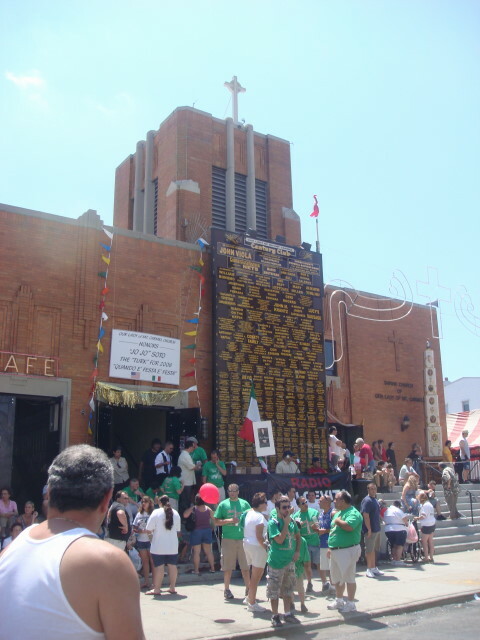 Midway is the “Shrine of Our Lady of Mt. 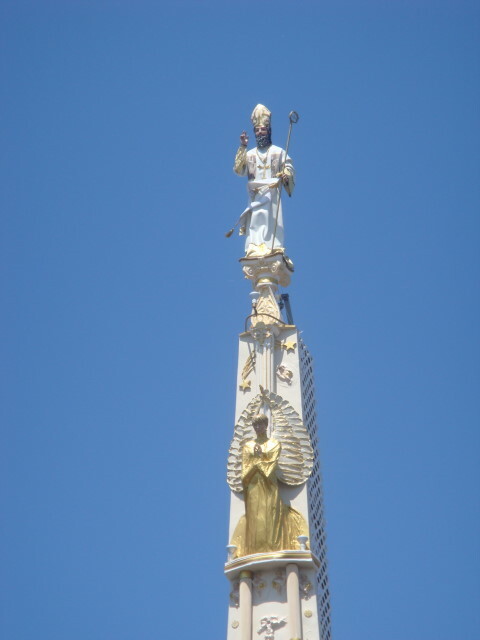 Carmel.” Once again, I don’t know the link between the “our Lady” and the giglio and Bishop Paul (later declared a saint). The article I read was rather murky on the linkage between them and noted it was controversial. I’m a terrible person. 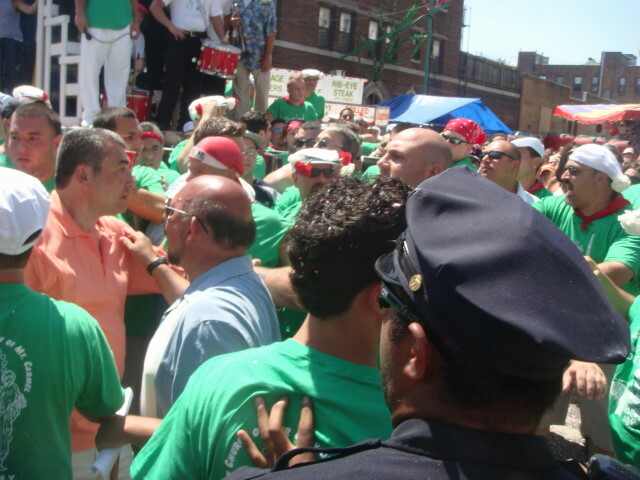 As I stood in the midst of faithful and patriotic Italian-Americans, I kept thinking of Mussolini and the one nice thing people used to say about him: that at least he kept the trains on time. I was thinking of that because time kept passing. Very slowly. It was a clear hot day and the crowds were growing and there was zero movement on the part of the people to start the lift. I was hot and tired and hadn’t sat in hours. Well, there had been some movement. Just after 1pm, the local bishop had left the Shrine in a procession. After he left…nothing. Not for another hour! The crowd just kept growing and growing. They knew it would be delayed, I guess. Well, actually, I heard some of the talking about how it was always late. Just before 2pm, we started seeing some activity and the lifters and musicians got into position. And just after 2pm, the boat was lifted out onto the street and rotated a full turn. Okay, and the great thing? The lifters were having some fun and trying to shake up the boat occupants. It’s a wonder none of them became publicly seasick. They swayed, they bounced, they threw confetti. Both of the giglios had a band on the dais of the lift. It held eight or ten of them. And they got into it. Some was standard Italian-style music. I think it was some of their Church music, but I just don’t know. Both of the giglios played the National Anthem (of the US) at different times. Each of them held a singer and each of those belted out some standard songs. 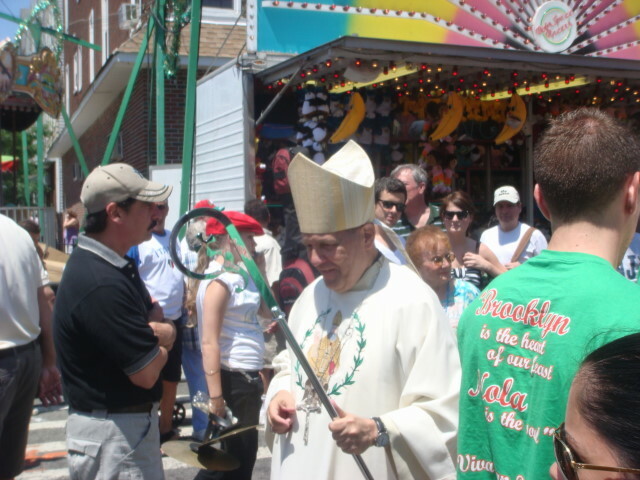 I haven’t talked about the second giglio much in this post. 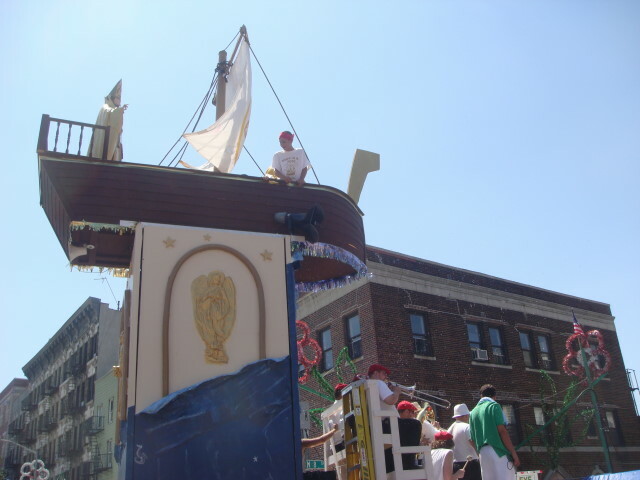 Other than its height, it performed in much the same manner as the boat giglio. The lifters spun it about on its axis a couple of times. 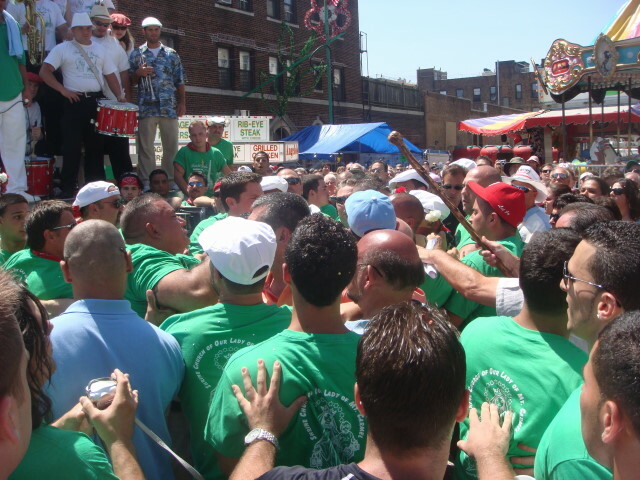 The two bands were in competition with one another. 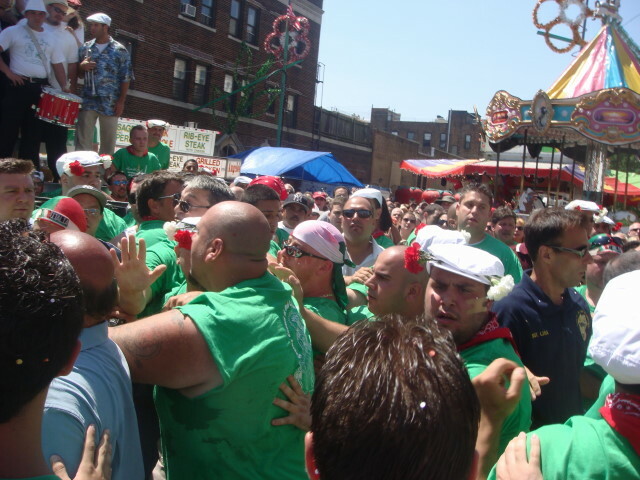 The lifters both swayed the giglios a bit, but I’m pretty sure the boat was shaken a whole lot more than the saint giglio. Well, that makes sense. The both were headed in my direction. 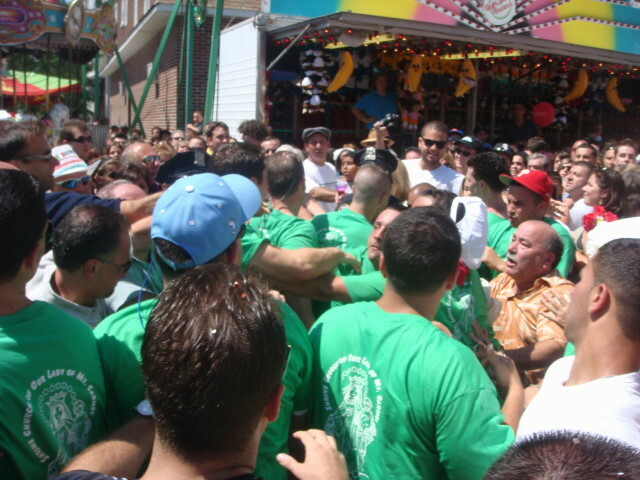 The saint giglio got to the destination first; but that’s because there was an incident (actually a fight) right next to me involving the boat giglio lift crew. That was something. Enough that I’ll wait to post on it tomorrow. 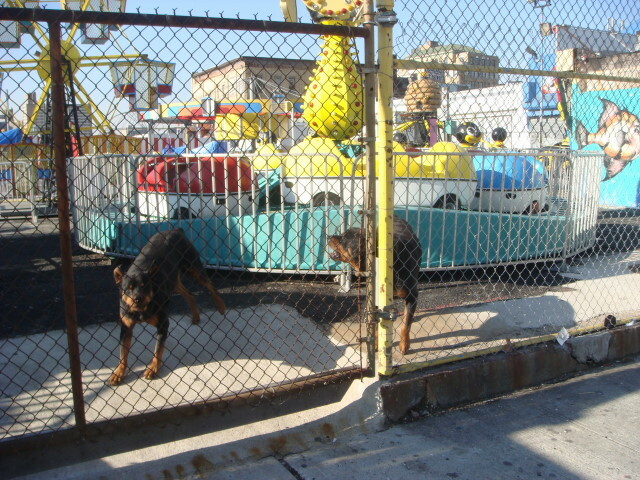 Lately, I started thinking that I wanted to see how Coney Island was doing in the winter. So, there I went. So, how’s it going out there? Pretty much nothing’s happening…at least on the weekend I was out there. Or, one can make the case that it is doing a whole lot. The place is shut down, but what does this picture suggest to you? To me, it looks like the long promised re-building has started. And there a few signs talking about the plans, but it’s the closing of Astroland after 2008 that will be the real event. 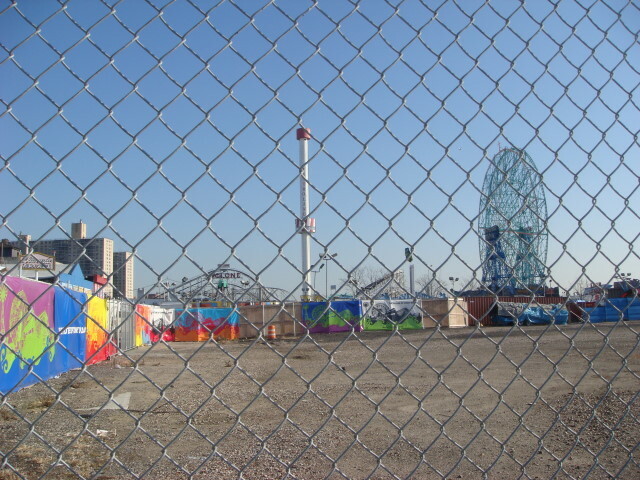 Here’s a shot of the closed-for-the-season Astroland. As I understand it, by 2011 or so it will be completely revamped into a new park. 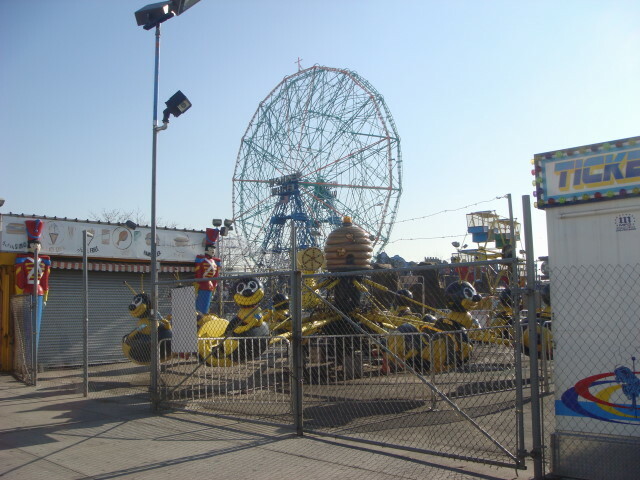 In the meantime, the Wonderwheel and the Cyclone will still operate. But in the meantime, it is closed for the season until April or so. As I was walking along, I found there were some residents…some rather protective residents. I can tell you that they weren’t happy to see me. Hungry, maybe; but not happy. And they weren’t the only protectors in the area. 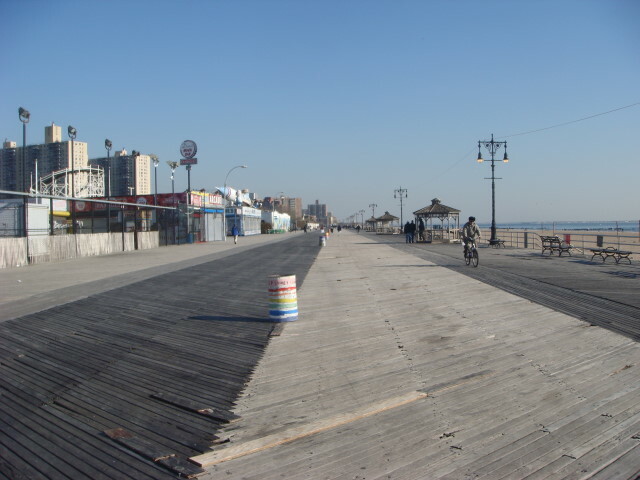 The boardwalk was nearly deserted. It was a cold noontime and there were precious few of us in the area. 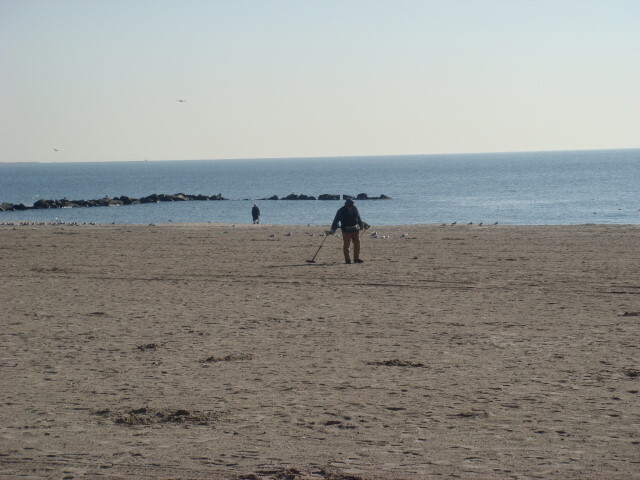 And the beach had the traditional guy with a metal detector hoping to find lost dubloons, or maybe quarters. 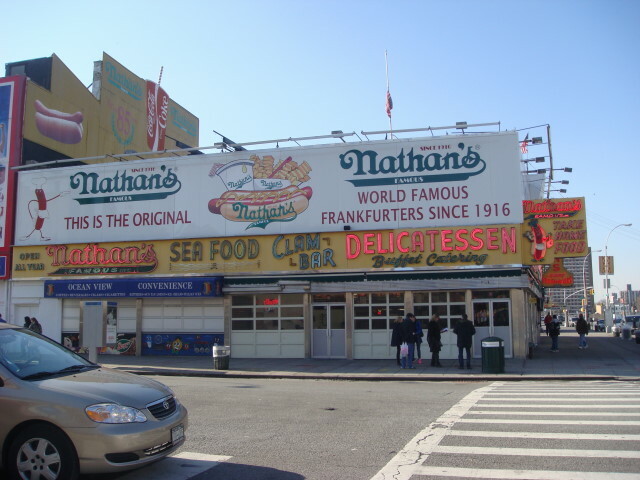 I did get to Nathan’s though. As usual, it was jammed. They closed all of the outside vendor windows so everyone crowded inside. It was one of very few open places in the whole area, but they were doing a booming business. I went in and discovered their service is as bad in the winter as it is in the summer. After 10 minutes I left. In my line, only one customer had been served and only a couple of others from other lines had also gotten their food (and I was maybe 5 back in line). In honesty, it probably isn’t just their fault. People were calling out to each other to order additional hotdogs and the like. I watch a number of the local TV shows such as “$9.99” and “Cool in Your Code” that detail interesting areas around NYC. Brooklyn is a subject in a lot of these shows and they tend to call every area that they are reviewing a new sort of hipster haven. And it seems to be true. New Yorkers are always looking for the new and the unique. And that tends to mean artists, restaurants, and nightclubs. Recent times appear to have really driven out the artists from Manhattan and they keep moving to Brooklyn (and I’d be remiss not to mention that some of them go to The Bronx, too). 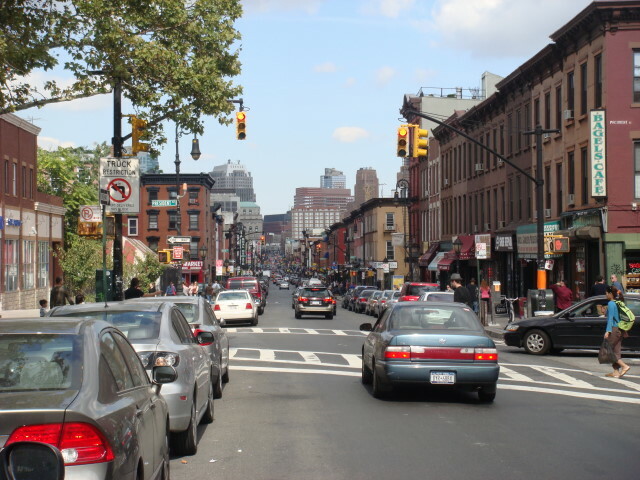 Brooklyn’s big and sprawling, but the attractive areas tend to be near the East River. I’ve mentioned places like Park Slope (not particularly near the East River), Brooklyn Heights (right there), and Williamsburg are all those sorts of places. But, I’ve also been aware of another area: Smith Street. Technically, it isn’t an area at all. 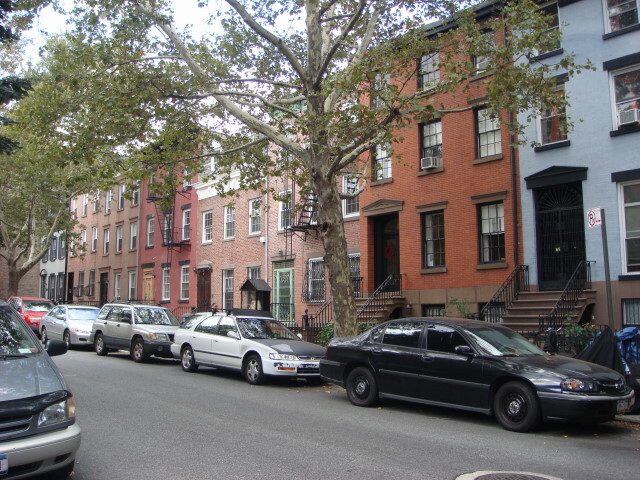 Instead, it’s a street that seems to go through three significant neighborhoods and all three are on the “cool” radar: Boerum Hill, Cobble Hill, and Carroll Gardens (also known as the BoCoCa district). The odd thing is that I seem to spot “Smith Street” mentioned all over the place, but the BoCoCa area is thrown in almost as an afterthought. Well….not that extreme. 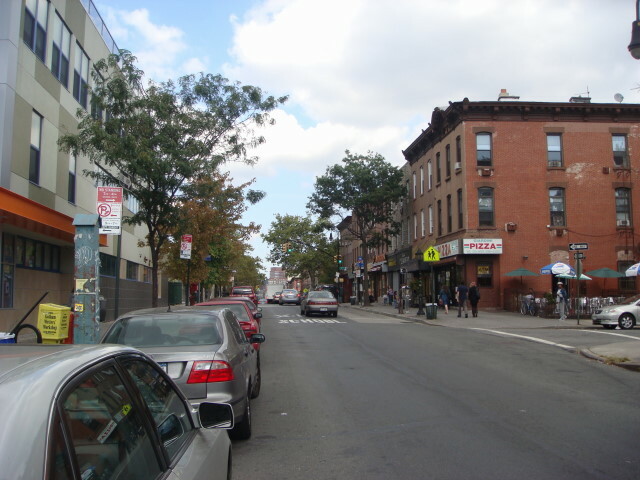 I’ll hear something like how good the restaurants are in Boerum Hill, and the address is almost always on Smith Street. 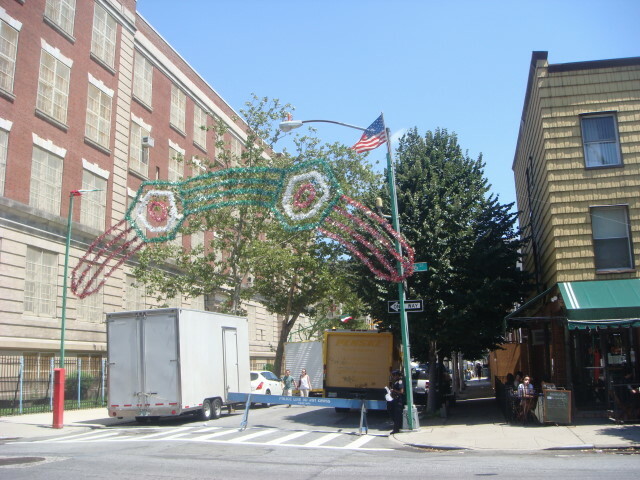 Or, I’ll see an ad that mentions Carroll Gardens and the ad will mention Smith Street. Or, I’ll read an article on some new celebrity that’s chosen to live in BoCoCa and I’ll see Smith Street mentioned as a celebrity spotting area or something. In any event, the place just seemed to be asking Famous Ankles to wanders its length. The furthest south part of the district is Carroll Gardens, so it’s appropo that I got off the subway at the Carroll Gardens stop and started heading north. First of all, remember that this is Brooklyn. That means lots of things to me. First, it means low buildings and then it means lots of trees. 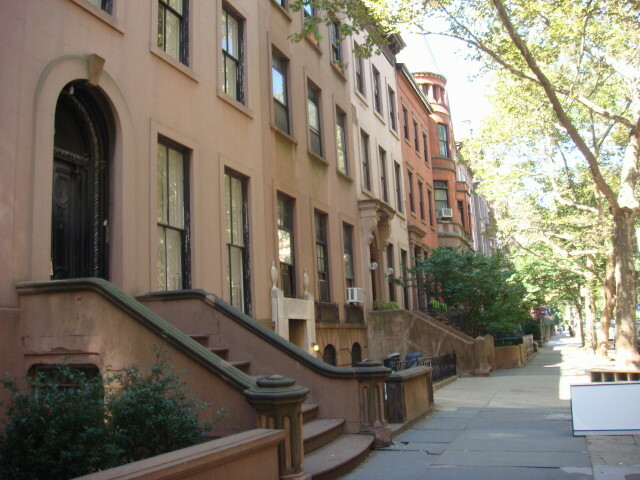 There are tons and tons of brownstones and oodles of restaurants and vintage clothing places. Smith Street is absolutely typical of that. The one item it doesn’t seem to have a lot of are churches. Brooklyn has lots of churches, but I don’t remember seeing anything on Smith Street itself, although there were a number of them when I wandered off the main path. But, the three-story buildings? Check. 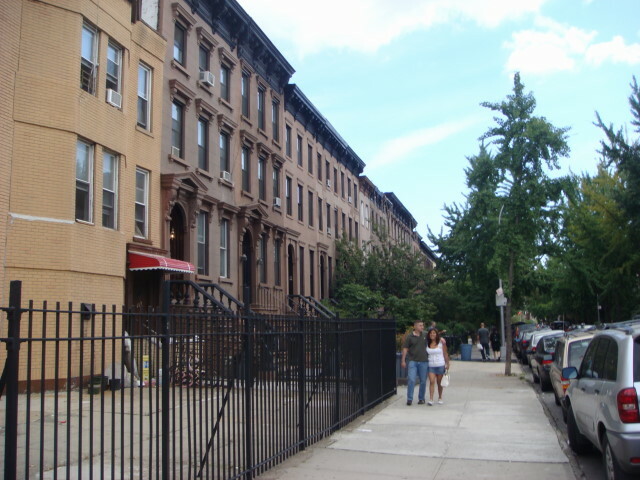 Here’s Carroll Gardens. Oh, yeah. 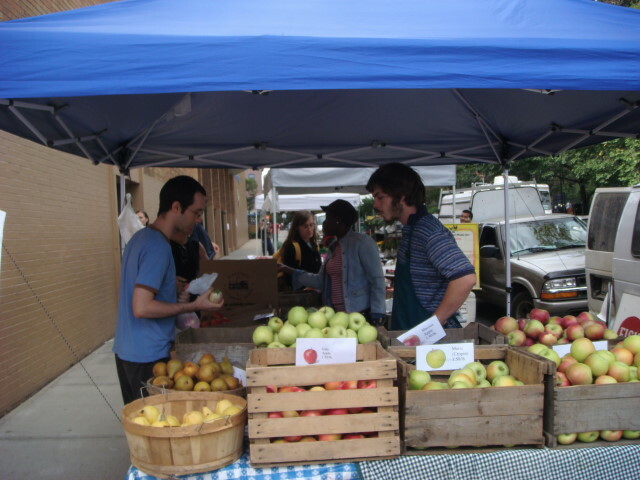 It’s got a nice little farmers’ market on Saturdays. Apparently a very long tradition for the area. The nearby sign said it had been going on for 30 years. Nowhere near the size of the Union Square market, but not bad at all. The side streets have lots of nice little brownstores and row houses. 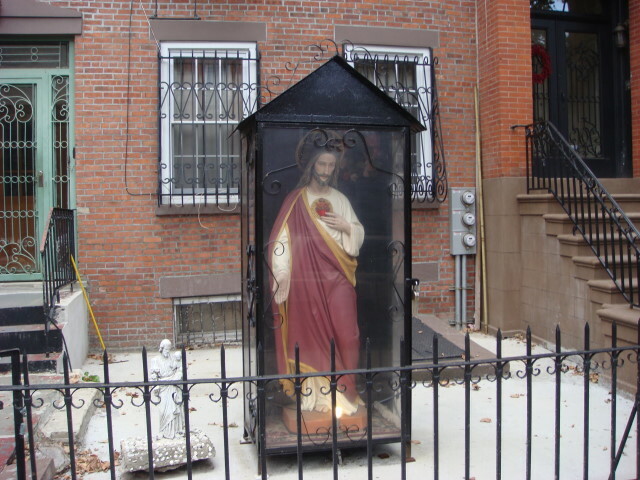 The below is on Wyckoff Street. I don’t know the prices, but I did see a note in a nearby realtor office that had a 3-story place on the market for $1.3 million. The street on the flyer wasn’t any of the streets that I walked on, so it’s just a rough guess for the above. Now, I will say this about Smith Street: you wanna eat? Smith Street has it for you. That is, unless you want fast food. I didn’t see a single McDonalds or other mainstream fast food place anywhere. It warmed my heart. And, in the distance, loomed Borough Hall. I finally did decide to stop and eat at a local place. 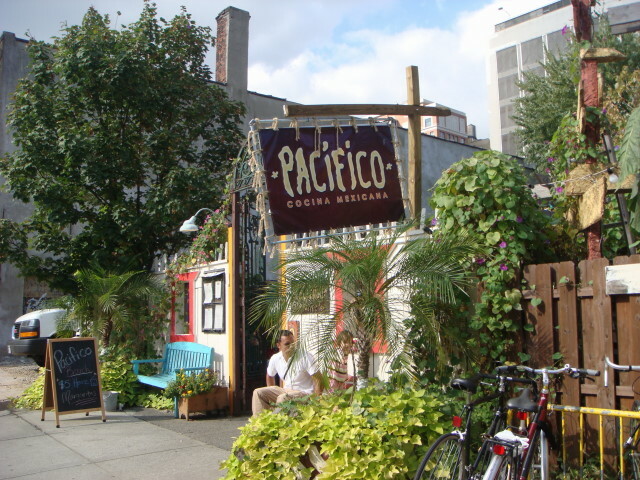 It’s the Pacifico Restaurant on Pacific Street. It is a little odd why they would name a street in New York after the Pacific Ocean. (They can’t mean “calm street”, hey! It’s Brooklyn!) The place is absolutely, marvelously Brooklynesque. It’s well kept up, but not fancy. The tables and all are cheap, but not horribly so. It wants to say that it is a down-home family kind of place, but who knows about that? In any event, the eating area was in the open area in the middle of the place and I ordered the fish tacos. I’m not a real trustworthy source for food picks, but I liked it. Not real cheap, but not bad. Overall, Smith Street is a great walk with wonderful amenities and pretty nice people. You can do worse than visit or live in the area. 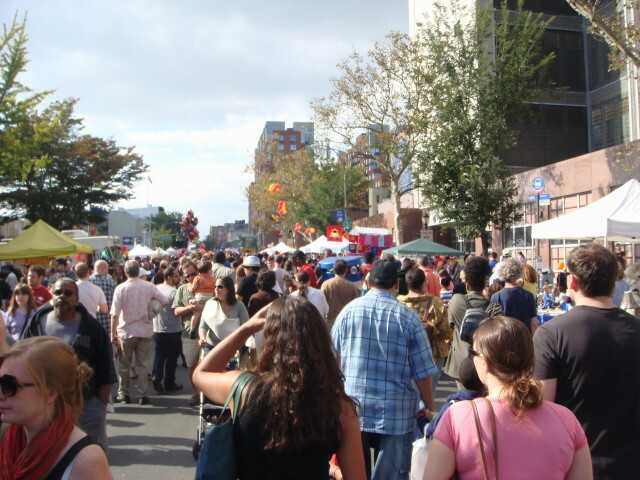 Last weekend, I was wandering Smith Street in Brooklyn (post forthcoming) and ran into a very, very nice street fair on Atlantic Avenue. 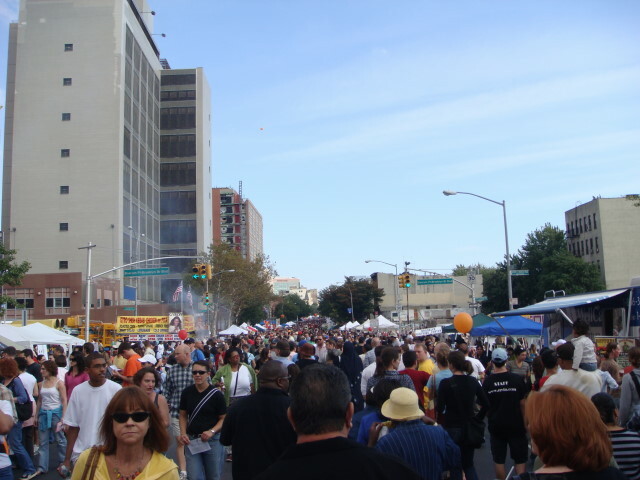 If you’ve seen other posts where I mention street fairs, you’ll note that I’m not fond of them. They’re too repetitive and predictable. I only need so many wallets and socks. 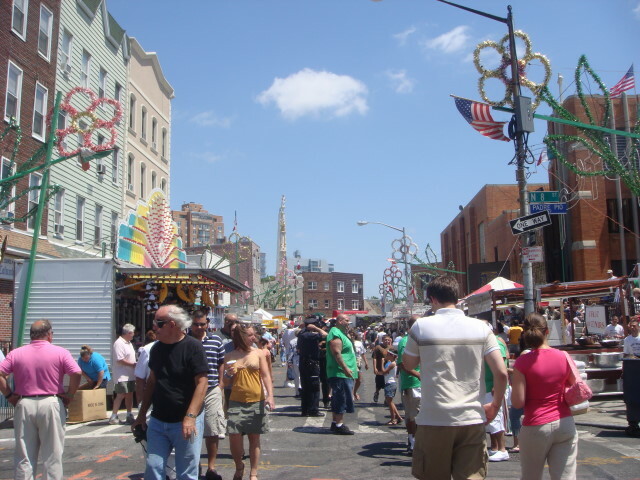 When I first ran into the fair, I noticed it was…a lot different than a typical Manhattan street fair. This one had character and real displays. 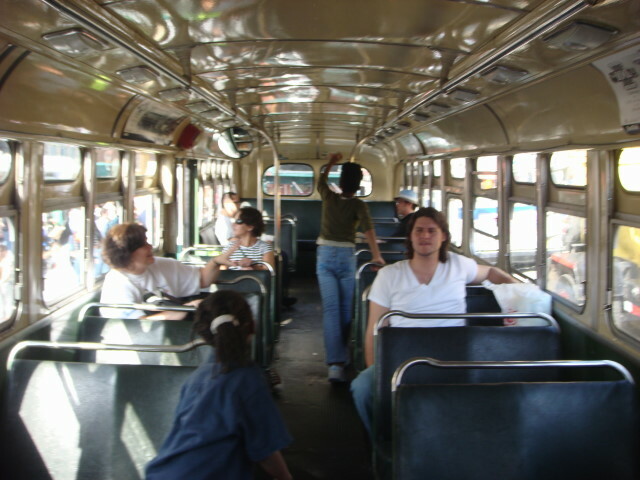 West of Smith Street, it was decidedly oriented towards kids. And pretty crowded, too. About 20 minutes after taking this picture, I wandered past this area again and found it still running. 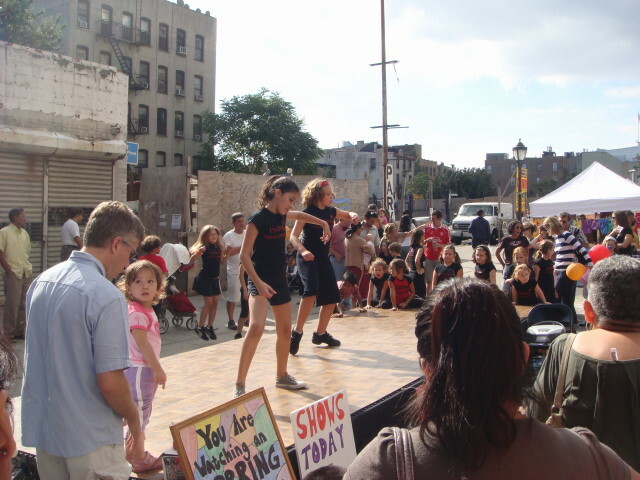 There were a bunch of little girls from some dance academy that were lined up to demonstrate their talent. They received pretty good applause from the onlookers and everyone seemed to be having a good time. Lots of proud moms and dads, I’m sure. 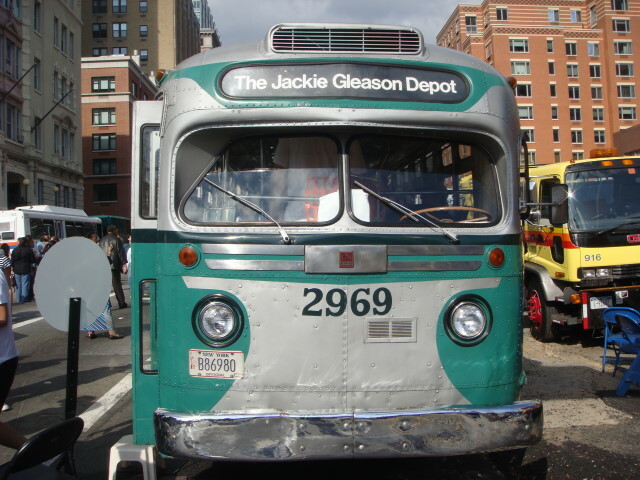 For me, the highlight of the fair was the New York Transit Museum’s bus display. I’ve never seen anything like it. Great, great stuff. 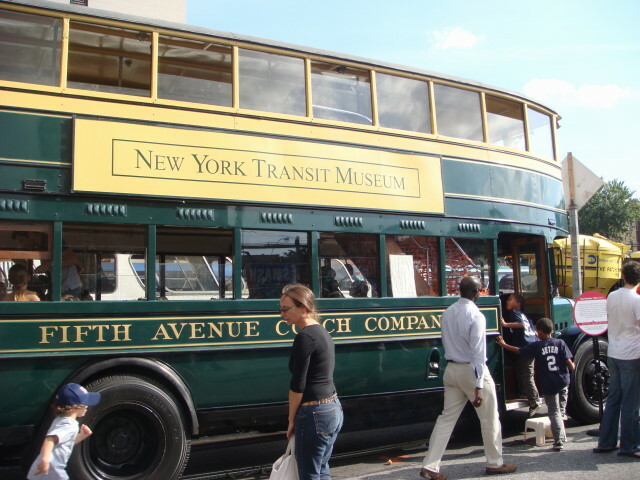 I’ve seen double-deckers in Manhattan, but they always seem to be tourist buses. I’d love for what I typically ride to be replaced by something like the below. 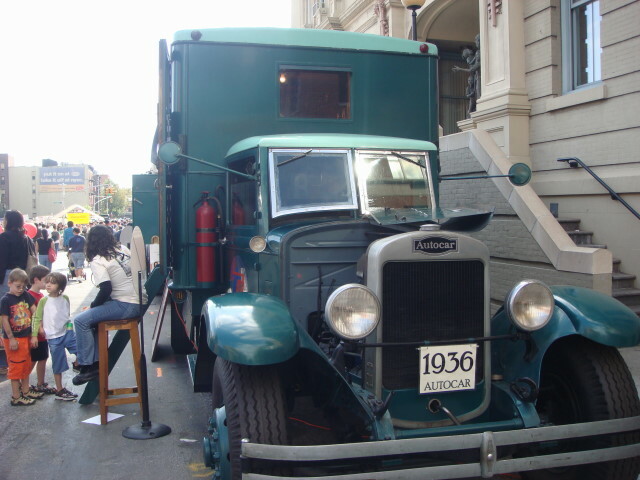 There were a bunch of buses, but a couple of items were also very interesting. 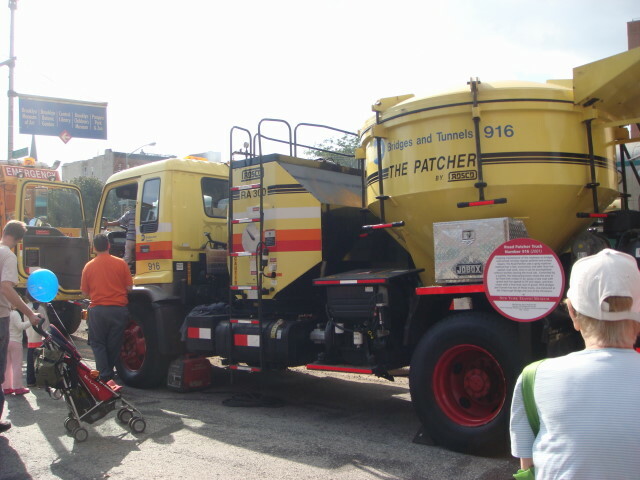 First, there was a “tunnel wreaker” that would clear disabled vehicles out of the subways. And there was a specialized machine that did electrical monitoring in the tunnels, in 1936 no less. This makes me happy to have the current buses, despite their length of about half a block. I can’t imagine today’s needs being met by this sort of vehicle. Anyway, after the Transit Museum display, I decided to walk all the way to the end of the fair in the east. It was a big fair and it sure had a crowd. 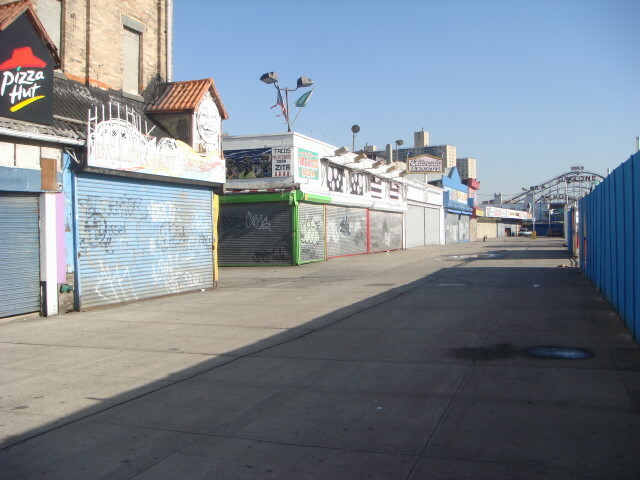 Basically, from Smith Street I walked all the way to the Atlantic Avenue subway stop. It seemed a lot longer than it actually was simply because of the crowds, but then I do enjoy a good crowd. 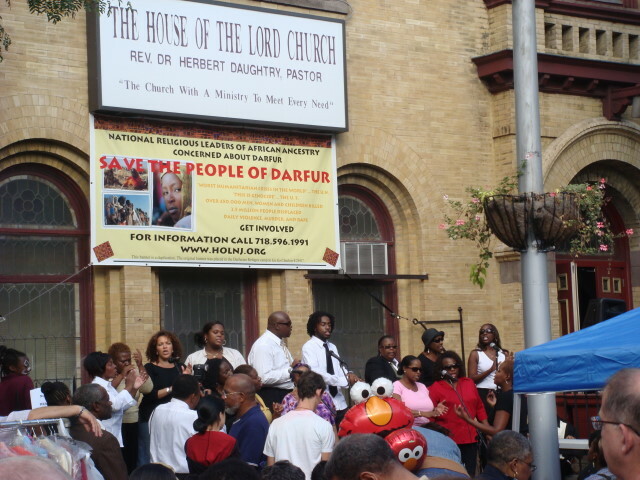 Along the way, there were a number of live singing acts including R&B, jazz, a little country, and gospel. Probably the most interesting part of the fair for me was the change in the neighborhood along the way. It transitioned slowly, but perceptively along the way and I was fascinated that the crowd mix was pretty consistent except for the families being more numerous at the west end of the fair (in the kids and Transit Museum area). 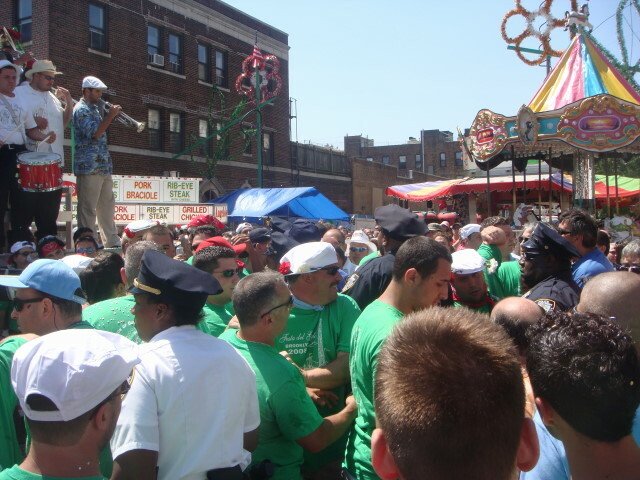 As fairs like this are really extensions of the actual neighborhoods, it was wonderful to see the different groups in the east and the west of the area all got together to put on a nice display for everyone. 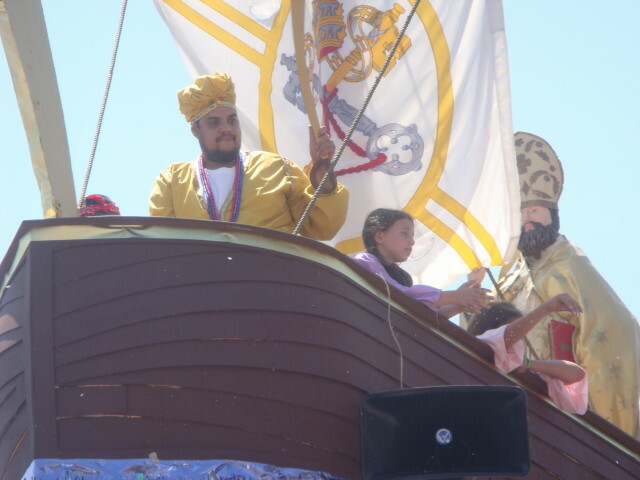 I’ve gotten so involved in parades and the like that I’ve neglected a post I’ve been planning to write for a couple of weeks. At the beginning of September, I ankled my way around Brooklyn Heights and I’ve written two posts about it (here and here). But there was more and I wanted to give a little more information about this very attractive and well-positioned place. 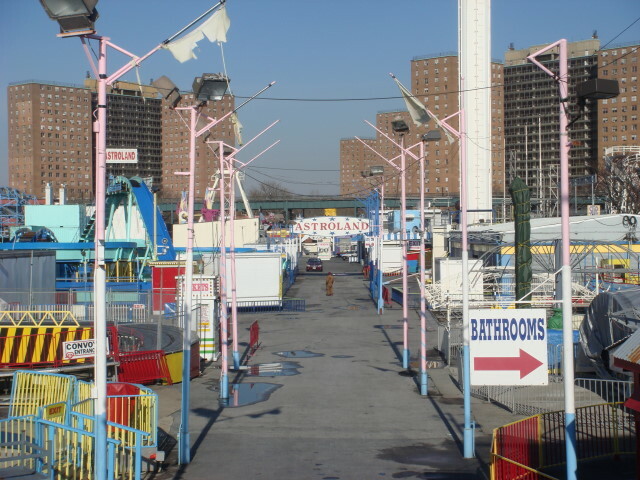 So far, I’ve written about Borough Hall and the Promenade, now let’s see what was in-between. 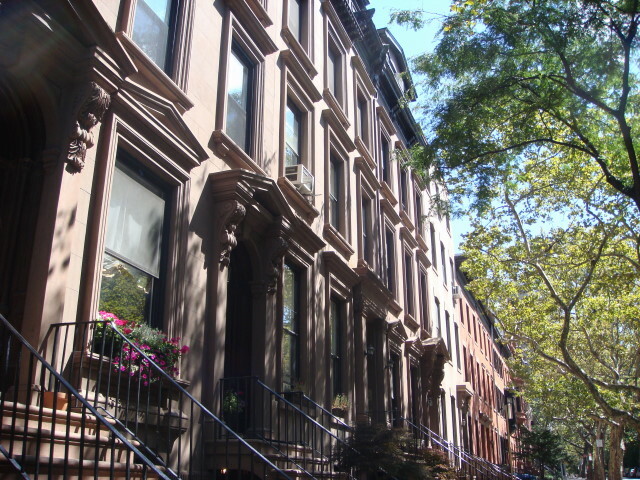 Brooklyn Heights is quite historic. As mentioned before, its favorite son is Henry Ward Beecher from Plymouth Church of the Pilgrims. It’s an attractive an modern-looking church that belies its actual age. 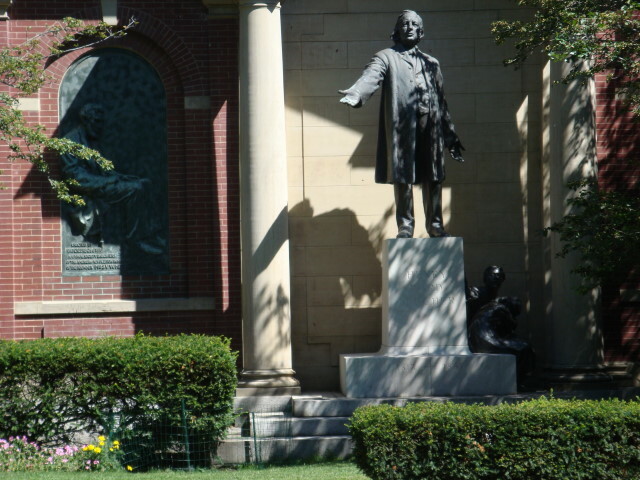 Inside the courtyard (where I couldn’t go) was another statue of Beecher. And a frieze of Lincoln. And of a familiar figure just to the side of Beecher. The Lincoln frieze is good, but it doesn’t show up well on the picture. It’s been said that Brooklyn is the land of churches, and I think that’s true. Both Manhattan and Brooklyn are filled with churches some well attended and some not. But a lot of them are quite spectacular. 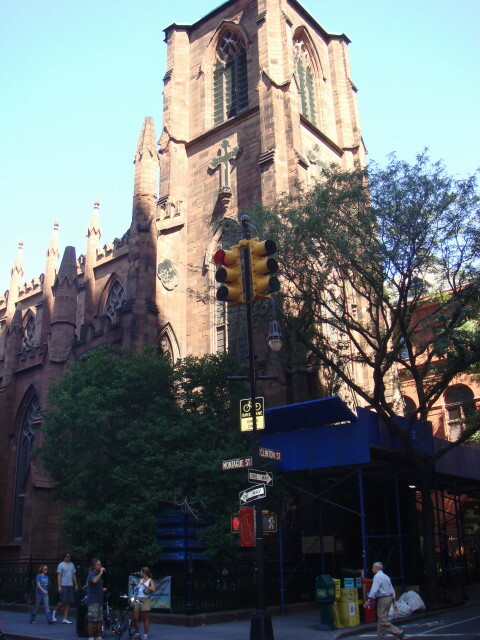 Also in Brooklyn Heights is the Episcopal Church of St. Ann and the Holy Trinity. 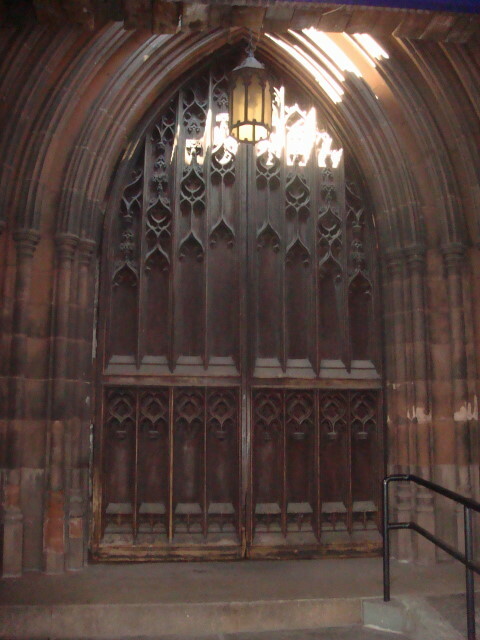 Yeah, there’s scaffolding in the front, but the church is big and grand and has a great front door. But there’s more to the Heights than just that. The streets are incredibly quiet and pleasant and the buildings are first rate. 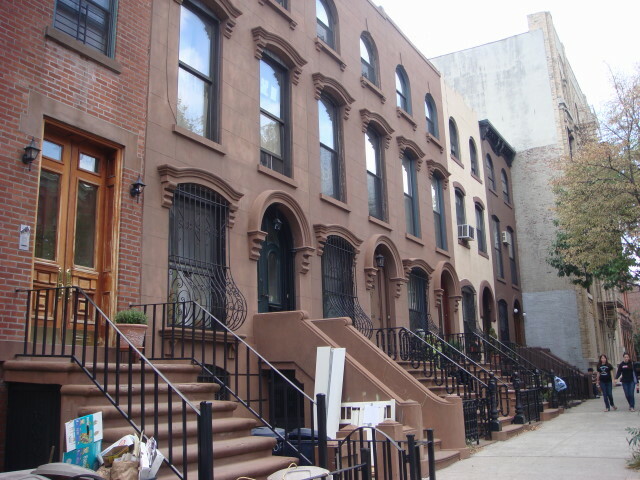 Here’s some Pierrepont Street brownstones. 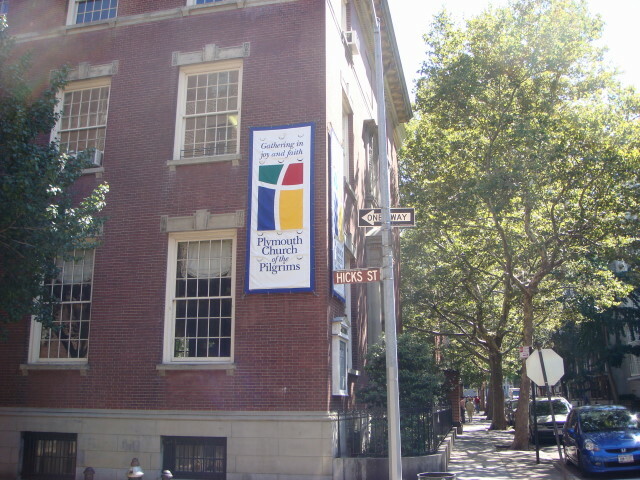 Pierrepont Street also has the Brooklyn Historical Society. 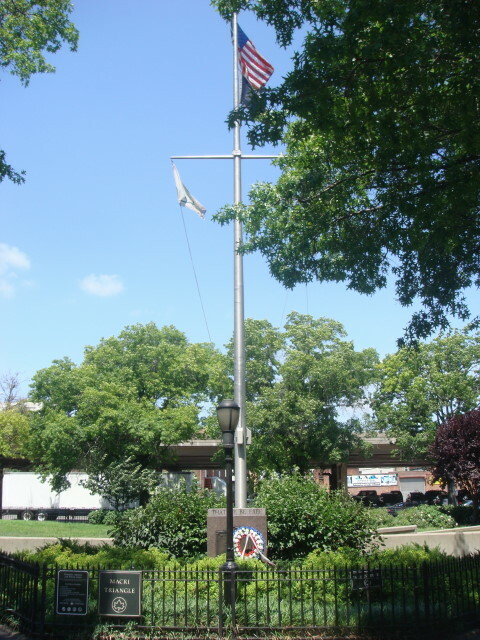 Historically, there’s a spot in the Heights where George Washington was leading the American revolutionaries during the Battle of Long Island. He eventually had to withdraw in the face of superior force and successfully evaded the British and preserved his army. There’s a street called Remson Street that had a variety of different architectural types in the same block. It’s not as evident in the picture, but there is a definite difference among the line of townhouses. And all, apparently, were build long ago during their respective dates of the style. One weird thing did happen, the only thing out of the commonplace during my visit. I was walking up from the Promenade and smelled smoke. I had noticed a homeless guy about 20 yards ahead of me slow down for a moment or two and then walk on. And then I smelled smoke. When I got up to the area he had slowed/stopped, I found a newspaper on fire! Just a few pages of it and just burning in the middle of the sidewalk. I let it continue to burn for a few seconds, but once the wind kicked up, I stomped it out. I don’t know if the guy started it or just observed it as he was going by (kind of like I did). Hey, it could have been spontaneous combustion for all I know. It sure did make for an interesting moment, though.